A young couple living life – remodeling, diy projects, and everything in between! The second floor on our house is big. And it is all carpet, except for the bathrooms. Oh wait, they even had carpet in one of the bathrooms. FAIL. To clarify big, we needed 1,825 square feed of carpet for the upstairs media room, pool table room, 3 bedrooms, the hallway/catwalk, all closets, and the stairs. Ouch. If you have been carpet shopping before, you know that carpet is between $2.30-$3.50 per square foot installed for average to good, normal colored carpet (nothing crazy!). Again, ouch. 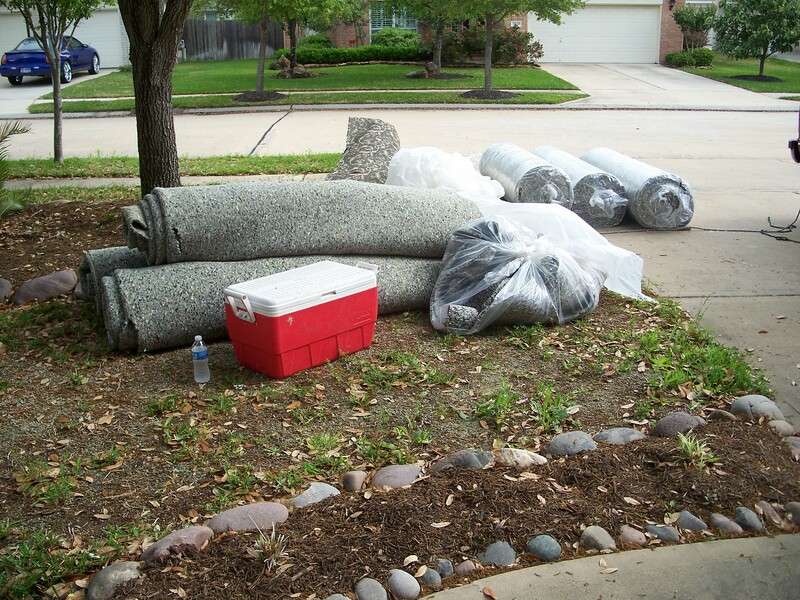 Luckily, we found an awesome carpet place and got a great deal on removal, installation, carpet and new pad. A lot of people have said to go with something other than carpet, like wood or tile. Here are our reasons for sticking with carpet, not in any particular order. (1) The theater room is already a lofty type room and the carpet will help absorb the sound. (2) All the bedrooms upstairs are spare bedrooms and we don’t particularly care if those floors are super awesome. Carpet in bedrooms is foot friendly. (3) Our entire first floor (except for 4 closets) was very nicely upgraded by the previous owners to 20″ tile and looks great. The upstairs doesn’t need to compete with the downstairs. (take note – this is like only one of two kudos points the previous owners get. But then again, if the house was the way we want it, that wouldn’t be any fun at all). 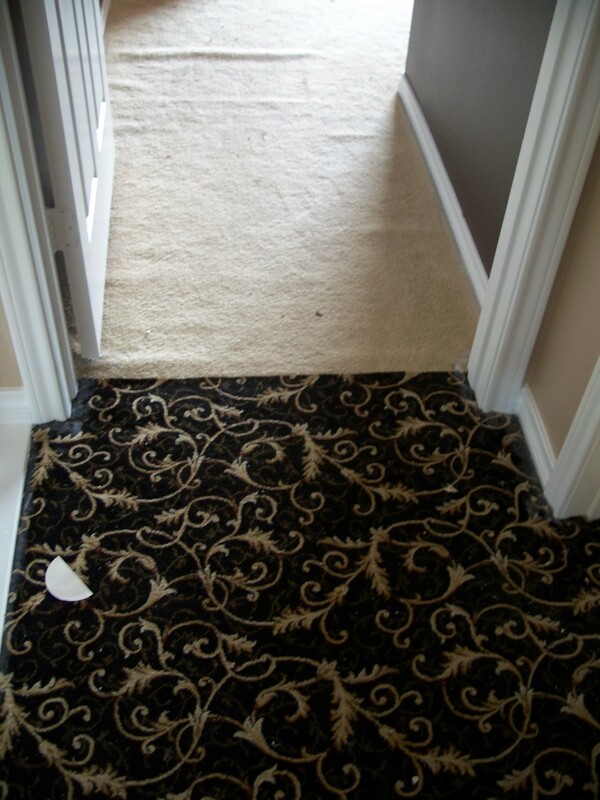 (4) Carpet, overall is cheaper, faster, and less of a hassle than installing tile or wood because we would have had to install those ourselves. And finally, (5) we didn’t re-do the stairs with wood because it’s too much of an investment with low return, and difficult to install. There will be a staircase post later on to discuss this more. You can see that they only carpeted the hallway/catwalk, loft area, and stairs with this. If they would have just kept it in the loft area! It looks like casino, bank, theater, etc. carpet. And it seems to the apartment-grade wrinkled carpet in the bedrooms. Tacky. I hate that the bedrooms had different carpet. It didn’t bother Aaron so much, and he thought we could go with a different color in the bedrooms. I nixed that pretty quickly because of how bad these looked seamed together. 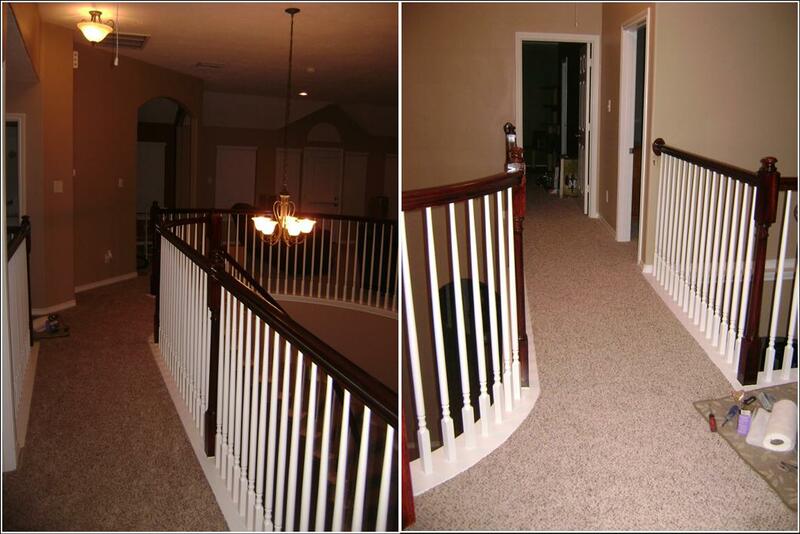 Before we could have the carpet installed, we had to finish the staircase and paint all of the bedrooms. We also destroyed began remodeling the bathrooms. As you can see from the picture above, I painted a lot of the carpet. It was definitely nice to not worry about spilling paint on the floor. And I took that carelessness a bit far and also knocked over / tripped with paint in my hand on not one, but two gallons of paint. Nice. And here are some after pictures. LOOOOOVE IT! Sorry about bad pictures of the catwalk, they were taken at night. The second set of pictures are of the theater room and the pool table room (sans pool table… haha… have yet to buy that one). And the third set of pictures are of the 3 bedrooms that have the new carpet. 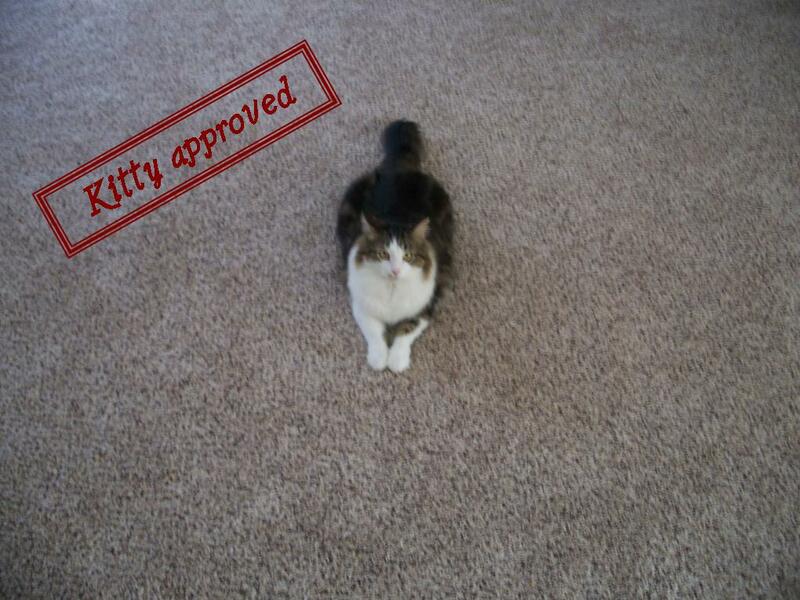 The carpet is kitty approved. Mr. Kitty and Max both love it. They didn’t like being locked in our bedroom all day while it was installed, but I think they got over it. How to make a builder grade mirror look good! The garage is officially… Viper Approved.